Foil Stamped Business Cards - 14pt Dull Matte Card Stock. 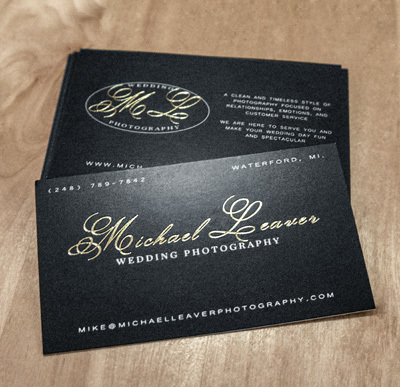 Printed on 14pt dull matte card stock and finished with a silver, gold, or copper foil stamping. 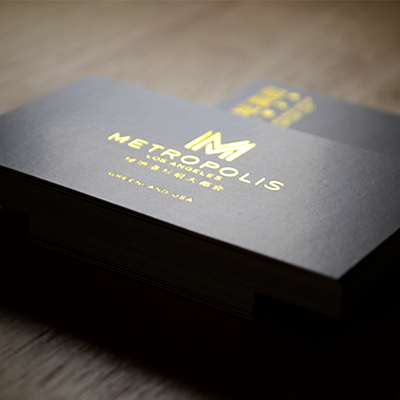 Naturally, you want your business card to outshine the rest. 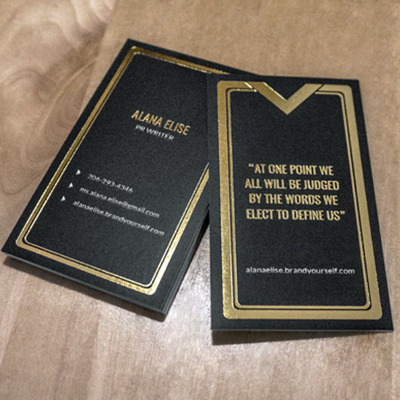 You can be sure it will when you choose a foil stamped business card printed on our 14pt dull matte card stock by Elite Flyers. 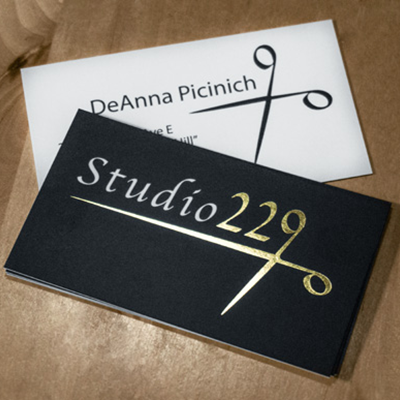 The foil stamping process adds metallic and sparkling accents to your business card, giving it a luxurious and expensive look. 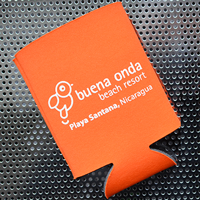 Luckily, when you choose Elite Flyers for your foil stamped business card printing, you can be sure you are getting the lowest price on the market for your beautiful and sophisticated looking cards. 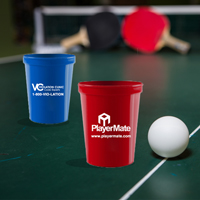 The foil stamping process does require the careful planning of your design, but fret not – the Elite Flyers design team is on hand to provide feedback on your plans, or to create you an innovative design from scratch at a very affordable rate. 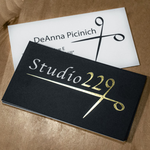 Elite Flyers is proud to serve you for all your business card needs, and we’re especially happy to offer you this hot premium foil stamped business card service on the highest quality 14pt dull matte cardstock.